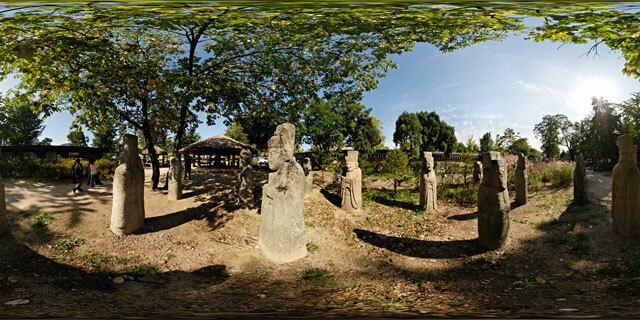 360° VR panorama of the stone statues of Civil officials, known as Muninseok (문인석), on display in the grounds of the National Folk Museum of Korea (국립민속박물관). The National Folk Museum of Korea is located in the grounds of Gyeongbokgung Palace (경복궁), Seoul (서울). The aim of the National Folk Museum of Korea is to preserve the legacy of traditional Korean life and to educate on how Koreans lived in traditional times. The Museum is a popular attraction, receiving over two million visitors annually.